I’m always on the lookout for unique and rare leathers and was fortunate to find this fantastic shrunken bison. The shrunken bison leather has a heavy grain giving this wallet its very unique look and feel. 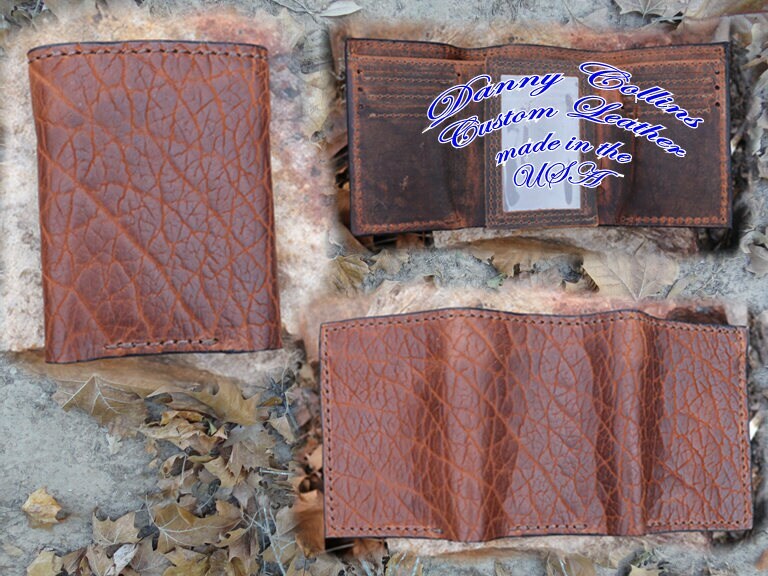 This wallet features a distressed buffalo interior with a compartment for your folding money, nine card slots and a flip out double ID window.